Descendant of the ancient Pictish royal line, Bridget MacCulloch fears nothing, so when brash Halldor O’Donar rebuffs her offer to help defeat the foe that killed her father, she refuses to surrender her quest. But Bridget’s need for vengeance is equaled only by her growing attraction to Halldor. Descendant of the Norse god Thor, Halldor must find the missing Sword of the Ancients, for only with this weapon can he overcome the loathsome monster that has entered the Mortal world determined to destroy it. 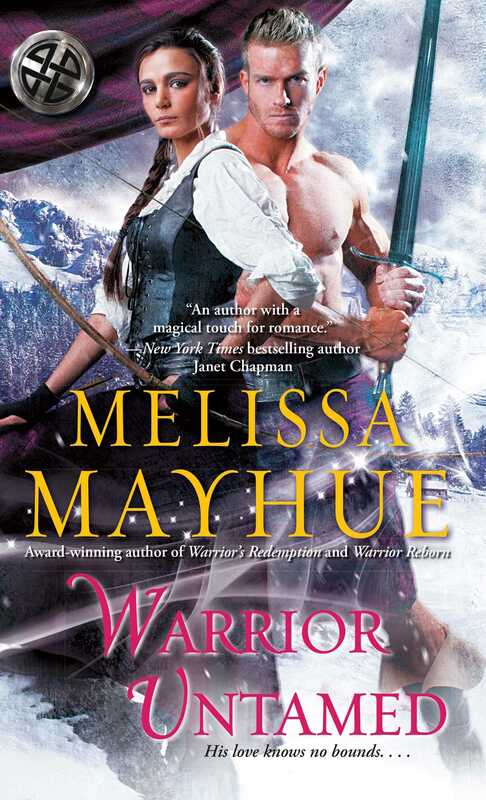 Though he’s forbidden Bridget from accompanying him on his mission, he soon discovers the stubborn—yet sinfully irresistible—warrior princess heeds no one but herself. Now they must learn to trust each other if they’re to defeat their enemies . . . or risk everything as they surrender to a desire with the power to conquer all. 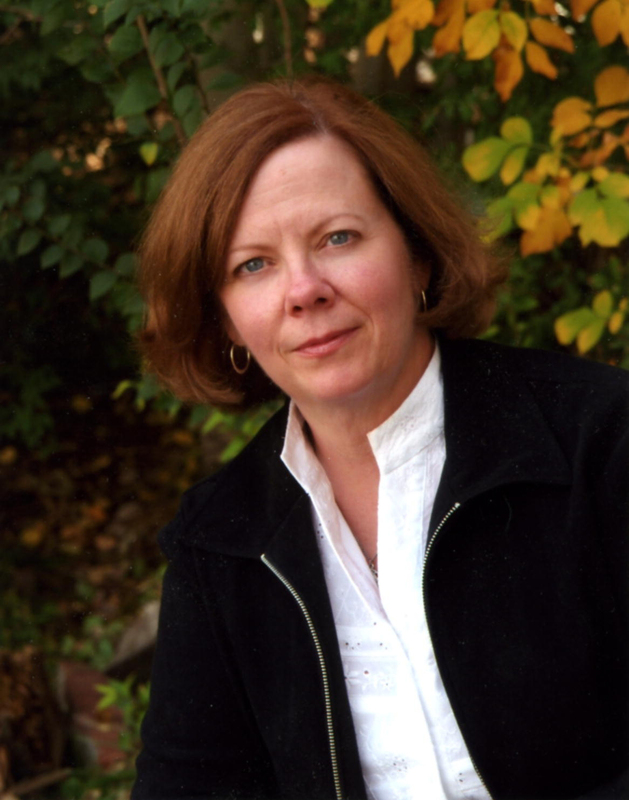 IF ANY HARM had come to Bridget MacCulloch, there would be hell to pay. Not that he had personal feelings for the MacCulloch woman one way or another. He absolutely didn’t. The very last thing he needed to complicate his life was a woman. Especially a woman as stubborn and undisciplined as Bridget. Halldor O’Donar had determined long ago that he’d hold tender feelings for no woman. Unless a man was of a mind to settle down with a wife and raise a family, a woman had but one purpose in his life. And Hall was not of a mind to marry. Besides, no Mortal woman would have the least bit of interest in him, once she learned what he was and how he was destined to spend his life. His vow regarding Bridget’s safety was made for no other reason than that he’d hate to have wasted all the time and effort he’d put into saving her life in the first place. Not to mention that enlisting the aid of the Tinklers to spirit the woman away from the clutches of Torquil MacDowylt had put him squarely back in the debt of the Fae. It rankled mightily that he’d barely settled one debt to them before incurring another. Thunder rumbled overhead, and Hall’s companions cast worried looks to the skies. “Only Thor himself has power over the weather. This is no fault of mine,” Hall muttered, though the words he spoke weren’t completely true. Not even years of training and solitude had succeeded in giving him complete control over those unruly emotions of his. Hall jerked his attention to the spot Patrick indicated. Even from this distance, there could be no mistaking the bright colors of the Tinkler wagons. With a kick to his horse, he lurched forward in full gallop, the knot in his stomach still balled up tight. The Tinklers were several days overdue. Until he could see with his own two eyes that Bridget was unharmed, he couldn’t bring himself to start his quest to find the sword and the scrolls that had been taken from Tordenet before Chase Noble’s battle with Torquil MacDowylt. Without those treasures, there was no hope of defeating the monster that now possessed the MacDowylt laird’s body. And if the monster couldn’t be defeated, the world as they knew it faced an unholy change. Damned careless of the Tinkler to greet riders in such an open fashion. And exactly what Hall would expect of the Fae and their chosen people. He hated how they blundered through the Mortal world, acting as if they were impervious to danger. They, of all beings, should know that appearances meant nothing. He could have been anyone. Or anything. Editha was more than Tinkler. Of that, Hall had not one single doubt. It was she who had convinced the others to help him spirit Bridget to safety away from Tordenet. And it was to her that he was now indebted. Damned difficult Fae. A fine trick fate had played on him, repeatedly weaving the path of his life with that of the Fae. Hall kept those thoughts to himself. At least he hoped he did. With a respectful dip of his head, he turned his horse toward the next wagon, anxious to reassure himself of Bridget’s safety. Only then would he ask what had delayed them. Bridget leaned out from the interior of the wagon. He could tell the instant she spotted him because she gathered her skirts and hopped down, striding toward him in long, sure steps. Even clothed in the colorful Tinkler garb, she looked every bit the warrior princess. Determination and self-confidence shone in her every move. An unfamiliar excitement rumbled through his veins at the sight of her. Relief, like as not, that his efforts to save her hadn’t gone to waste. She stopped and rested her hands on her hips, waiting for him to reach her, her chin lifted as if for confrontation. For some odd reason, he’d expected a smile to greet him. Odder still was the twinge of disappointment he felt when she didn’t offer it up. “He’s dead, then,” she said with great finality, as if there could be no other outcome. The Shield Maiden was single-minded, bent on revenge for her father’s death at the hands of Torquil MacDowylt. Trapped in the burning tower, Torquil should have died. Would have, if he’d been only himself. But the evil that possessed him could not be killed so easily. Good question. Now that he’d found her safe, his business here was almost finished, and as soon as his questions were answered, he’d be on his way. He snorted to cover his surprise. “I’m not in the castle, now, am I, little one?” It was answer enough and all that she would get from him. As if she thought her staying behind wouldn’t have made everything twice as difficult as it had been. His work in seeing to the safety of Chase Noble had been fully cut out for him. Still, she deserved an explanation for what was clearly his failure. For a moment her mask slipped, and one hand fluttered up to cling to her throat. So that was where they’d been. Holed up with Orabilis. He’d assumed the old woman was nothing more dangerous than a witch, but she was obviously much more powerful than that if the Tinklers sought shelter under her roof. A shiver shook Bridget’s body, a sure sign that she understood the implication of his words. And he hoped he could find the lad before the Beast did. For Mathew’s sake as well as for theirs. Like hell she was. The task ahead of him was daunting enough without his having to watch over a woman. Especially a woman who thought she could take care of herself. They were the most dangerous kind of all. He turned his horse and headed off at a canter, anxious to get on with his quest. Anxious to put distance between himself and the angry woman behind him. What possessed him then, he had no idea. But he drew up on his reins and turned his mount back toward her. The satisfied smile on her face when he reached her side this time was everything he’d expected when he first arrived. She lifted an arm up to him but he pushed it aside to lean down and wrap his hand in the silky length of her braid. In a single move, he pulled her close and fastened his lips over hers. Coming to his senses, he broke the kiss and pulled away. Bridget stood, full lips parted, eyes closed, her face tilted up to him as if captured by some magic spell. Her angry screech reverberated in his ears as he rode away. With the feel of her burning on his lips, it wasn’t likely he’d be forgetting her anytime soon, either. THE NERVE OF that man! The unmitigated gall! To leave her behind as if she were some . . . pathetic weakling woman. And to kiss her like that! Like he had the right to do it! How dare he? Brie’s whole body trembled with anger. That he’d saved her life back at Tordenet was all that kept her from wishing a pox to fall upon his head. Lucky for him her bow lay in its corner at Castle MacGahan, or she’d be tempted to . . .
Brie took a deep breath and blew it out with great deliberation, forcing her clenched fists open. How many times had her father counseled her on controlling her wild temper? Losing herself to fury wouldn’t accomplish anything. There was nothing she could do right now. She had no horse and she had no weapon. But things would not always be this way. “So be it,” she ground out, turning to find all her traveling companions staring in her direction. “So be it,” she repeated, this time on a huff of breath meant to calm her as she mentally wrestled the red haze of anger flooding her mind into a small, manageable ball. If only Hall had listened to her, she could have helped him in his quest. What she knew of Mathew MacFalny and Eleyne, the cousin he’d left behind with the Tinklers, might have saved him days in his search. But no, he’d left her behind with a stinging insult ringing in her ears. If only he hadn’t kissed her. If only he hadn’t made it feel so—she touched a finger to her lips—so enjoyable. Next to her, Eric cleared his throat. “The sooner yer back in the wagon, the sooner we can be on our way.” His horse pawed at the ground as he spoke, as if the animal could feel the emotions roiling within her. The animal was obviously smarter than his rider, since the annoying man could barely hide his grin. Bridget locked her jaw to keep from swearing aloud and strode back to the wagon to climb inside. Patience, her father had always counseled. She wished to the Seven that she possessed even some small measure of that elusive virtue, but it just wasn’t a part of who she was. Determination was what kept her going. For now, her path was to return to Castle MacGahan. Perhaps her brother would be there by the time she arrived. Things would be different when Jamesy came home. Together, they could set out to track the sword themselves. They would find it, and they would put an end to both Torquil MacDowylt and whatever creature lived inside him. Revenge for her father’s murder would be hers. And as for Halldor O’Donar? Turning to look over her shoulder, she cast one last glare in his direction. As she’d promised, she wouldn’t forget this latest slight, his sending her away for a second time as if she were some fragile maid in need of his protection. By the Seven, he was the most arrogant creature she’d ever met. But she’d show him. She’d track him and find him, and when she did, she’d give him a piece of her mind. “What’s got that silly smile upon yer face?” Eleyne asked, her fingers twitching at the blanket covering her lap. “I’m no smiling,” Brie denied, carefully wiping all expression from her face. And even if she had been, it was only the thought of getting even with O’Donar that made her smile. Certainly not the prospect of meeting up with him again.